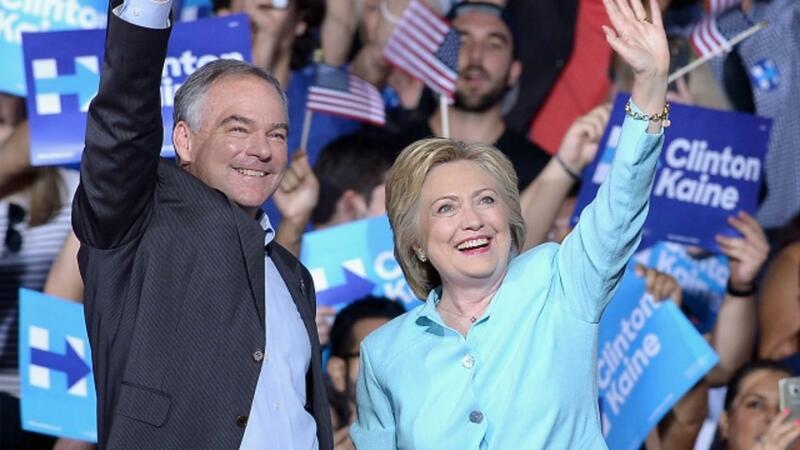 So we've got Lyin' Ted, Little Marco and Crooked Hillary, and now Donald Trump has given Hillary Clinton's vice presidential pick, Tim Kaine, a nickname: Corrupt Kaine. In a pretty unsurprising move, the GOP nominee has been bashing the Virginia senator on the $160,000 in gifts Kaine accepted during his time as governor and lieutenant governor of Virginia. Kaine never tried to hide the gifts. They've been publicly disclosed for years, and most of it was travel to conferences or some type of campaign event. But there are other gifts — like $5,500 in clothes from a friend and booster and free lodging in the Caribbean from another friend. All of this was completely legal, though, because Virginia has pretty lax gift laws, and Kaine's team is quick to note, there was no exchange of favors for the gifts. They're trying to distance Kaine from his gubernatorial successor Bob McDonnell, who was convicted of corruption charges, but the Supreme Court overturned that conviction in June. And the biggest difference between Kaine and McDonnell is the latter never disclosed his gifts, and there were real accusations of quid pro quo in his case. Either way, this is probably a smart move by the Trump campaign. Kaine doesn't really have a national profile, so trying to define him early is the best way to go for the GOP. And "Corrupt Kaine" fits really nicely in the narrative pushed at last week's GOP convention: They're convinced Clinton is a crooked criminal who should be in jail. Since nothing illegal actually happened, the new nickname isn't based in fact. But that's definitely not going to stop the Trump campaign from using it for the next three months.